Angie at Bob Wards says in Butte, ice fishing on Clark Canyon Dam and Delmo are local favorites, and in Bozeman the Upper Madison is doing well in the slower areas as well as the Yellowstone and Gallatin. In Helena, the Missouri is best with Nymphs or streamers, and CanyonFerryLake is frozen over with 10-15 inches and Angie recommends going out by the Silos. Ben at Ronan Sports and Western says there’s good action for perch on Pablo Reservoir, and the EastBay finally froze. Bill Brown at Bob Wards says bear season is fast approaching and wolf season is still open. Ice fishing the rivers is tough because of the slush, and BrownsLake folks are pulling them in from 6-8ft under the ice with rocker jigs. Brett French Outdoor editor of the Billings Gazette is concerned with new discounts on licenses for more and more groups each year and the potential FWP revenue lost by it. Dallas at Highline Cleaners in Chester says the weather’s been good with some good reports of perch and walleye. John Harris from Lakeside Resort in Trout Creek says Beaver Creek has 5-6 inches of ice, and Folks are reporting good Perch fishing 30-50 ft down, and some nice reports for pike fishing Finley Flats to mouth of MartinCreek along by KayCreek. Kyle with the Annual West Yellowstone Hebgen Lake Ice Fishing Tournament says the ice is looking good, so come February 1st 2nd and 3rd the tournament should be great. Mary Beth Kibler of Kibler Outfitting says been some reports from the West End of Ft Peck, but bring your chains when heading out there, and reminds us of the Hell Creek Ice Fishing Tournament February 2nd. Robert from Malta Marine says fishing on Nelson has slowed up a bit for walleyes, but forshed’s been good for Northerns and Walleyes. Ron Aashiem says there’s lot of action this week with the legislation session on: bison, wolves, lions, and trapping. 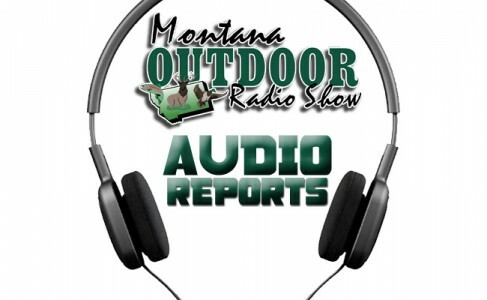 Shelby from Rocky Mountain Supply in Dillon describes the ice fishing tournament benefiting the Beaverhead Search and Rescue on the 26th7am to 4pm. Woody from Woody’s Lures in Townsend says get out early before the winds pick up whether at White Sulpher Springs or any other lake or stream, and you will have better success.